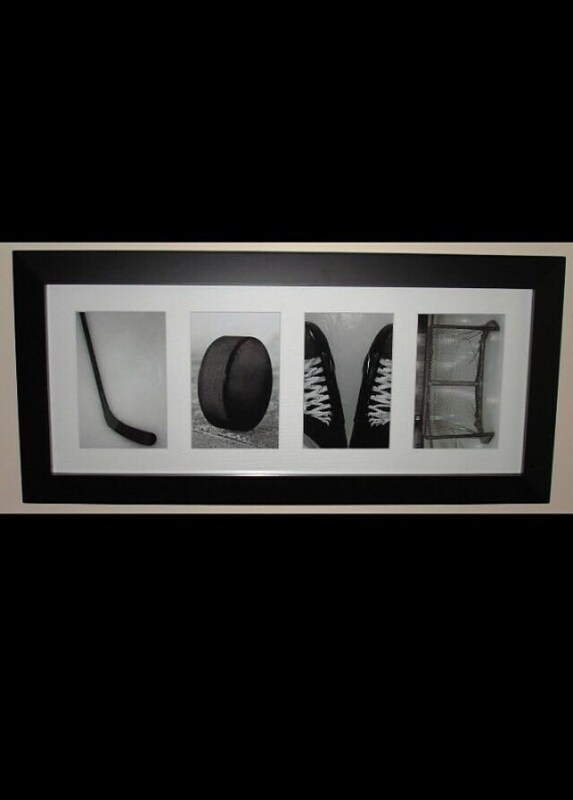 Hockey Montage - Unique hockey photos spelling out "LOVE" Perfect for anyone who loves the game of hockey! 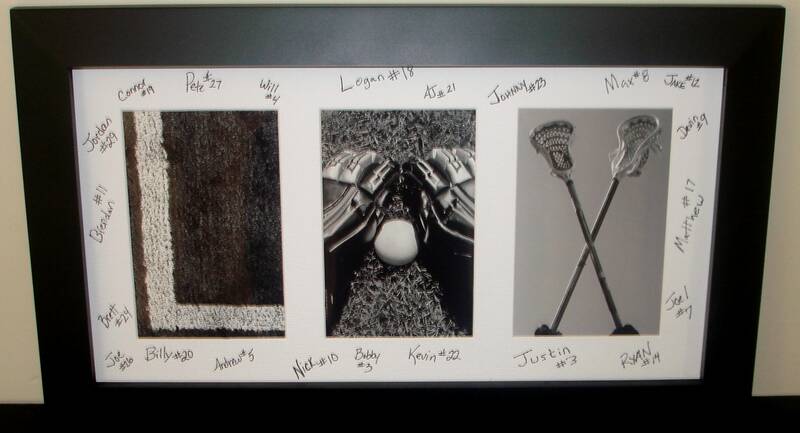 This will add a great conversation piece to any room. 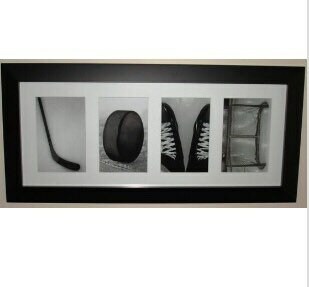 GOALIE & HOCKEY - Frame 9.5" x 28"
COACH & SKATE - Frame 9.5" x 24"
LOVE & GOLF - Frame 9.5" x 20"
LAX - Frame 9.5" x 16"
This is available in a smaller size too. Items I ordered came as expected, order shipped fast! It's actually bigger than I thought. We love it. Very cute! Quick arrival! Perfect!